In the Chestatee community (a golf and lake neighborhood in Dawsonville,Georgia) just north of metro Atlanta, custom homes are designed and constructed specifically to create an "ease of living" lifestyle. "Basically, we're done with outside maintenance on our home," says homeowner Dave Compretta. "There's a lifetime limited warranty on this roof … and we expect it to well outlast our lifetime! Let the grandkids deal with the warranty someday in the future. Right now, we're enjoying our no-maintenance style of living!" Constructed in mid-2016, the Arts-and-Crafts style home the Comprettas moved into was roofed by Braswell Construction. Originally the subdivision leadership restricted roofing materials to natural cedar or pine shakes … until they saw the genuine-looking polymer shakes from DaVinci. "This product sold itself," says Compretta. "We knew the cost would be slightly higher, but with no maintenance (and, in our opinion this actually looks better than real wood shakes), it was a no brainer." The Comprettas are so pleased with their new roof that they invite others in the neighborhood and north Georgia to visit and see the roofing product up close. 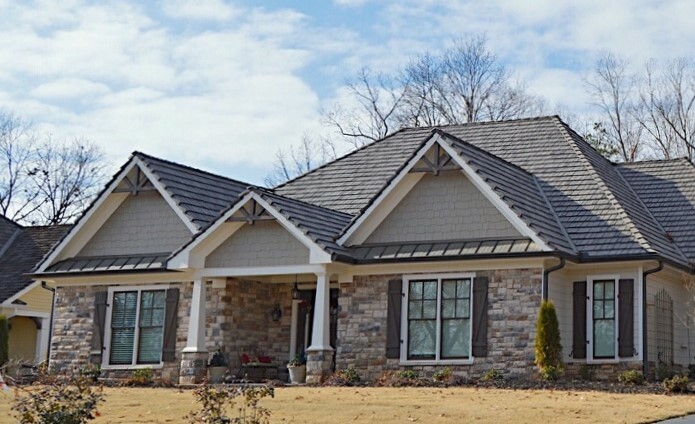 According to the Comprettas, "We're confident that when people see our home with mother's in-law cottage and then understand the long-term benefits of the DaVinci roof, they'll make the smart decision to invest in a similar roof for their lifetime of easy living!"